Romantic detached country cottage by the sea for a perfect holiday or shortbreak, with large enclosed child & pet friendly quarter acre garden just minutes from beaches & attractions. 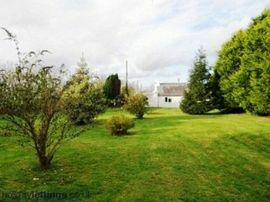 A fabulous detached cottage in a fabulous location with every little thing that you could ask for! 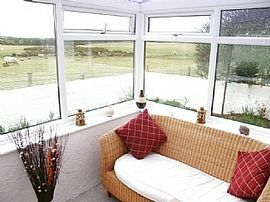 A comfy cosy cottage totally surrounded by peaceful countryside with a relaxing home from home atmosphere. Just arrive, take off your shoes, put the kettle on, relax and enjoy everything it has to offer. A short drive or walk to the hugely popular seaside village of Rhosneigr, where you can indulge in just about every watersport going - sailing, wind surf, kite surf, sand yacht, swim, or you may prefer to make sandcastles, walk the coastal path, play golf or just lie on the beach. Good places to eat are Sullivans and Mo Jos - the Sea Bass is the best I have eaten ever!! Teenagers love Rhosneigr, lot's to do and funky fun shops. 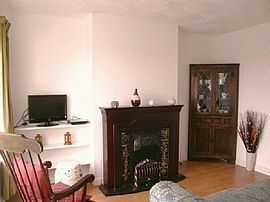 Cosy and cheerful sitting room, relax in the comfy sofas, or traditional rocking chair, which are set around the fireplace, TV and DVD player, the afternoon sun pours into the cottage with a door opening on to the garden for al fresco meals. The grown ups conservatory sitting room has comfy sofas so you can enjoy the glorious Anglesey countryside views in peace & quiet and NO TV!! Cute cottage kitchen with cooker, fridge-freezer, microwave, plenty of storage space and equipped to a very high standard. Both the Master double & Twin bedrooms are very carefully presented combining fun and luxury together with great views. Outside the large quarter acre child and pet friendly gardens, are private and well maintained with a mixture of borders, trees, bushes and lawns laid to grass with garden picnic tables provided. As pet owners ourselves, we understand how nice it is to take your best friends with you to enjoy & share a great family holiday together. So were pleased to say-you don't have to leave your 'best friends at home, bring them with you for the perfect cottage holiday for you and your pets. Dogs can enjoy a wonderful time at a number of dog friendly coves and beaches, cliff walks, woods, fields & miles of walks nearby to explore an adventure together. All it�s waiting for now � is for YOU to arrive.. 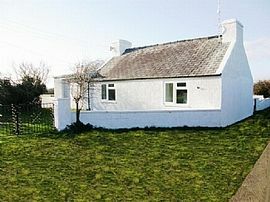 Romantic seaside cottage close to beaches & attractions. Within easy reach from main A55 - Full directions provided with bookings. Xmas / New Year week: £460.00. 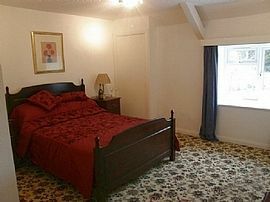 Weekend/short breaks: £75.00 per night. For rental rates & availability please contact us by telephone or email.